Who pays when the consumer gets a credit card or upgrade with added benefits? There is an increasing array of credit cards that now carry a much higher commission charge of over 3% to retailers than the normal personal credit card of 1.2-1.5%, since these premium/business/commerciall/fleet cards give added benefits to the card holder in various ways such as free points, cashback, free insurance, low credit or free credit for a period etc etc. In 2010 Tesco converted their Finest Platinum MasterCard to their Finest World MasterCard. Tesco's marketing giveaway of 650 points on the change effectively nearly doubled the commission charge to retailers, so it's really the retailer who actually pays for the added benefits that the card issuer gives. A case of give on the one hand and take from another. Tesco credit card FAQ page. 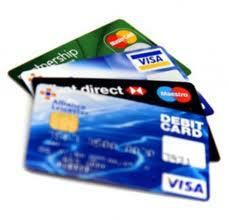 Mastercard or Visa Corporate, Commercial, Fleet or Business. VillaSpain makes no charge for personal credit card use, for which we encourage its use due to the financial protection it gives under the Consumer Credit Card Act of 1974, but we do charge 2% for those credit cards that are premium benefit cards, as displayed on the booking form. There is no charge for Electron or debit cards.